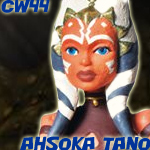 Today Echo Base News reviews Ahsoka Tano in her new outfit from Season 3 of The Clone Wars. This is one of the best female Jedi figures ever. Read on to find out why! Ahsoka (S3) is the definitive female Jedi figure. 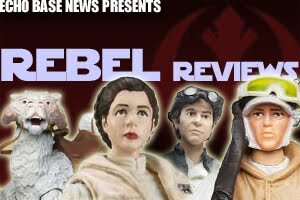 She is skinny, but Hasbro still managed to give her the baseline articulation for male Jedi on a girl. Sweet. This marked improvement over her first costume gives her the elbows she desperately needed at the cost of ankles that were just okay to have, IMO. I'm not a subscriber to the "ankles are necessary club" by any means. Her articulation still manages to look great, not bulbous by any means. (Taking notes, Barriss?). Ahsoka looks good, paint's good, costume works, the only minor gripe is her head is a little round and her expression is a little flat. The animators put a lot of work into making her full of life and expression and the figure cuts that out a bit, unfortunately. I will, though, take this over an angry or screaming Mace figure any day of the week. Her hands were sculpted to hold her lightsabers well, both the shoto and the lightsaber look great in her hands. The unlit hilts plug into her belt nicely, but they flair ever so slightly, which is sad but it doesn't make her look too bad by any means. Bottom line is buy this figure: great sculpt, paint, accessories, value and what have you.